There is some different vibe airing in cafes. Some people are just so fond of cafes that they feel like spending their entire day in a cafe. With good coffee, great food, beautiful decor and amazing playlist, who wouldn’t want to spend all his time there? 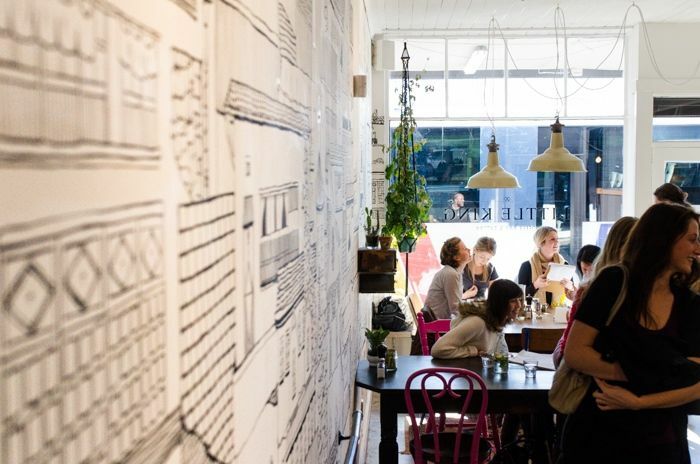 There are so many great cafes in this world serving some of the tastiest food and great coffee with the cutest and the most creative interiors. Here is a list of 10 great and cute cafes from around the globe that you must visit at least once. If books are your first love, this place would be heaven for you. Most of the readers just want to disconnect from the world, go alone and read amazing books. And good coffee just makes it better. 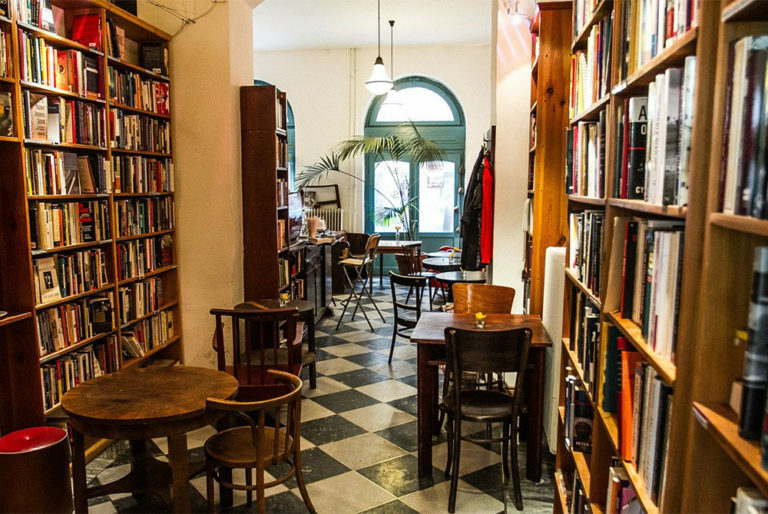 If you are a bookworm, this cafe in Budapest is going to steal your heart. The best part about this cafe is, it’s got a small outdoor garden as well, where you can chill, relax, have coffee and read books. 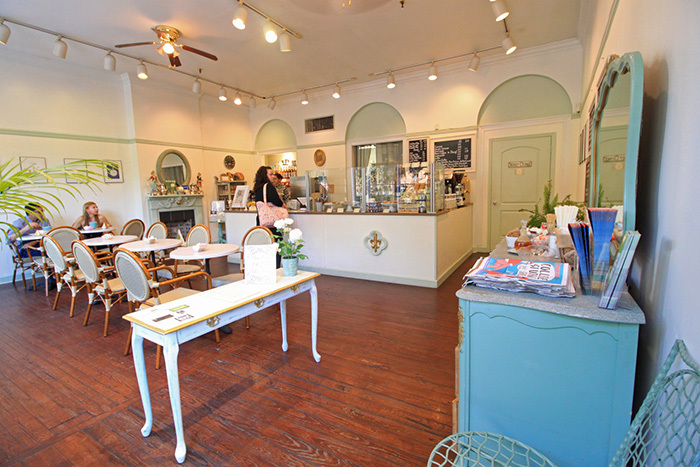 Cafe M is one of the amazing cafes in Savannah! 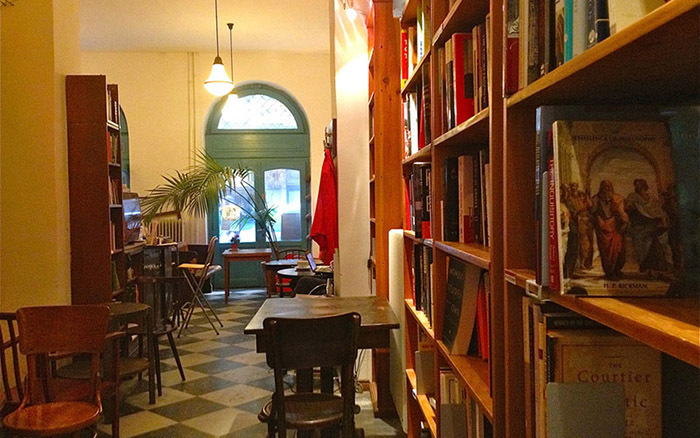 Once you enter into this cafe, you’ll feel as if you’ve stepped into Paris. It’s run by a Parisian couple. It’s a french cafe serving some delicious french pastries, light breakfast and lunch eats such as baguette sandwiches. They don’t just serve some amazing French food but also they have a variety of French goodies to take home. 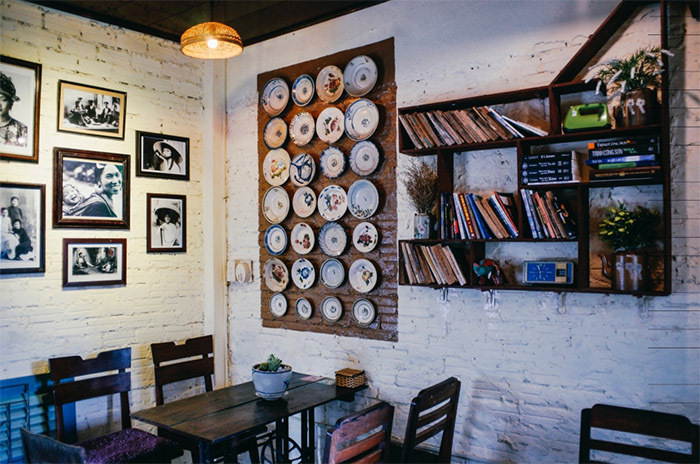 Cafes with artistic walls will always make some place in your heart. If you’re a person who loves art, you cannot not visit this cafe. It’s got artsy walls! It’s menu is full of all-day brunch and lunch options. You would want to keep coming back to this place, it is that good. They serve some of the amazing food. 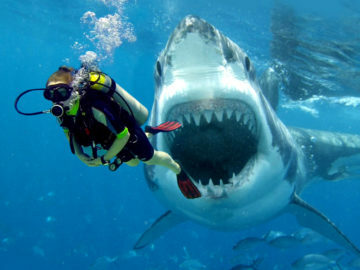 The best part about them is, they won’t disappoint you with their service. They’ve got a quick service and welcoming staff. Have you ever heard about Egg Coffee before? We doubt! An egg coffee is a Vietnamese drink which is traditionally prepared with egg yolks, sugar, condensed milk and robusta coffee! For all those coffee lovers out there, may be you should hit Vietnam next to taste this unique coffee! Goc Na Hoi is one of those great cafes serving amazing “Egg Coffee” with other delicious items. This cafe is located in the center of Dublin. Once you step into this cafe, you won’t feel like leaving. It’s such a cute cafe. We all know France is the capital for Patisserie. 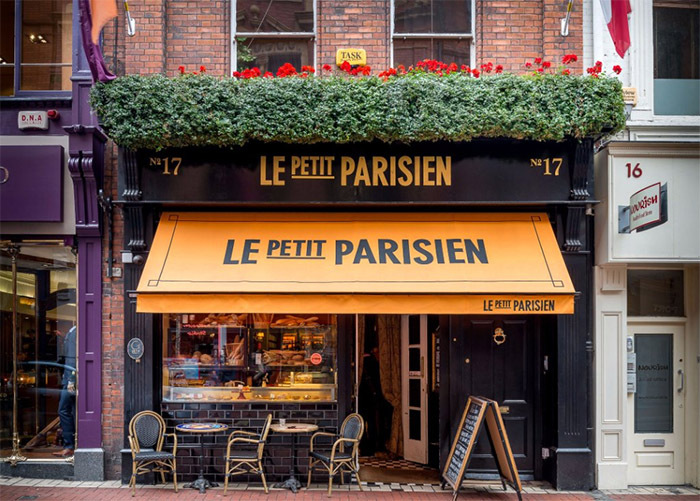 But if you are in Ireland, and want to have some amazing Patisserie, you have to visit Dublin for this cafe. As soon as you see the Patisserie section, you’ll feel as if you are somewhere in France. This cafe won’t disappoint you! It’s hard to put their best item on. Everything that they serve is the best. Unlike other cafes, this cafe doesn’t have any profit motive. It believes in spreading kindness and love. Who wouldn’t want to visit this cafe? Once you enter this cafe, you are likely to not just see but feel art all around you. The painted walls, painted tables, it is all just so colorful. The best part about this cafe is, people can join in as volunteers and work here. They organise events like poetry recitals, poetry sessions and theatre. Also, they encourage kindness with with its pre-paid coffee scheme where you can buy or receive a coffee from a stranger. All the sweet-toothed readers, this place is heaven for you! 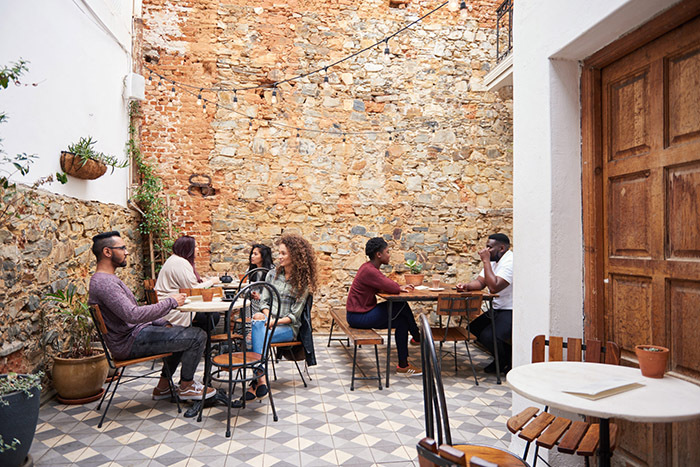 Spend your day at this beautiful cafe in Cape Town, and just indulge in an abundance of the dark chocolate nibbles offered! This cafe has a cosy inner cafe, and a divine courtyard outside! If you plan to explore Cape Town some time, don’t miss out on this cafe! Specialities : Dairy-free milkshakes, the trademark ‘coconut dream’ drink, and the banana bread bunny chow. 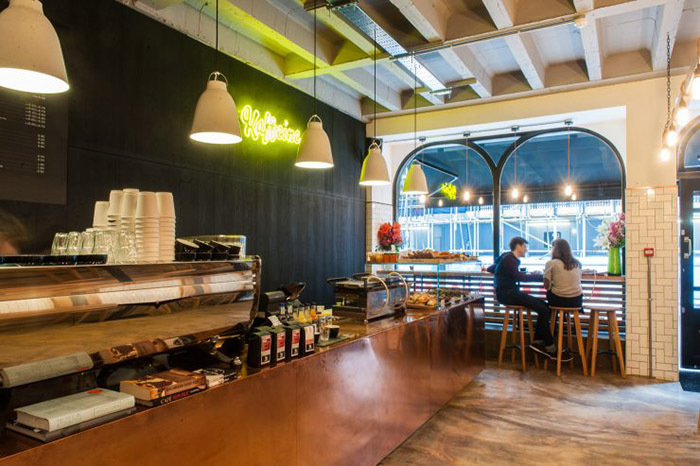 Kaffeine is an independently own cafe and espresso bar. Their coffee will take you out of this world! The Baristas in Kaffeine have at least 3 years of training before brewing behind the shop’s bar, that’s why the coffee art is just so perfect. 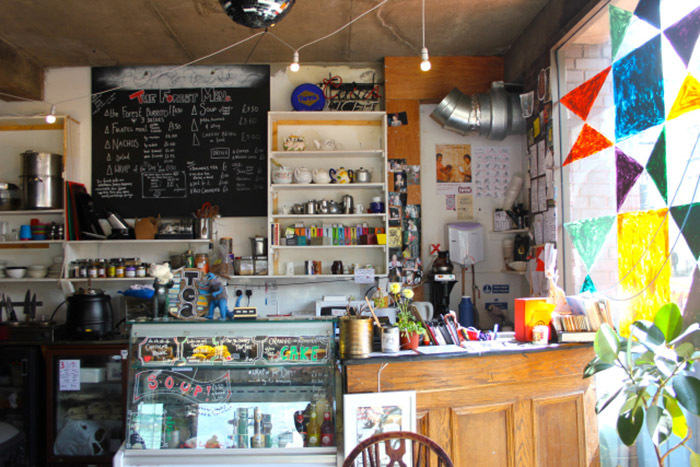 Don’t miss out on this cafe when you visit London! This cafe will remind you of one of those cafes you see in English TV shows. 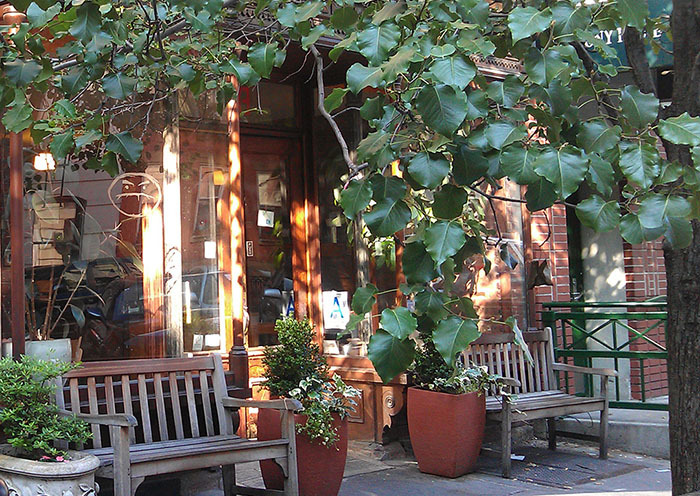 It’s one of the best cafes in New York selling crazy coffee! You’ll go mad over their coffee, that’s for sure. 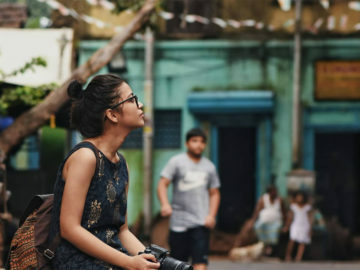 The cafe culture in India is growing fast and doing extremely well. 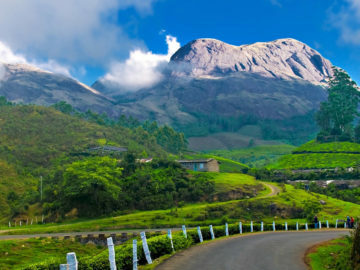 India has come up with such amazing cafes, it’s become so difficult to put any one of them in this list. 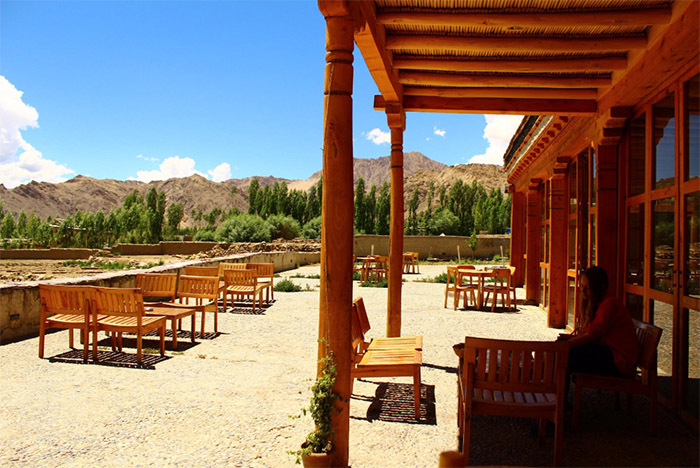 Bon Appetit is a cafe in Leh, it’s more of a traveler’s cafe. 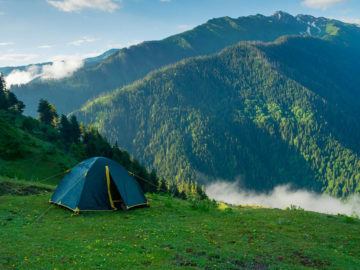 Go, get a cup of coffee, sit by the window and enjoy that beautiful view of the mountains. These cafes will surely make you drool over their coffee, food, and interiors. May be it’s time to plan that trip just to see this cafes!